The internet furor over Cecil the Lion and his killer, Walter Palmer, has subsided a bit this week, only to be replaced by a tragic wildlife situation south of the border in Yellowstone National Park. On Friday, August 7th (one week ago), 63 year-old Montana hiker, Lance Crosby, was attacked, killed, and partially consumed by a female grizzly bear known locally as Blaze. 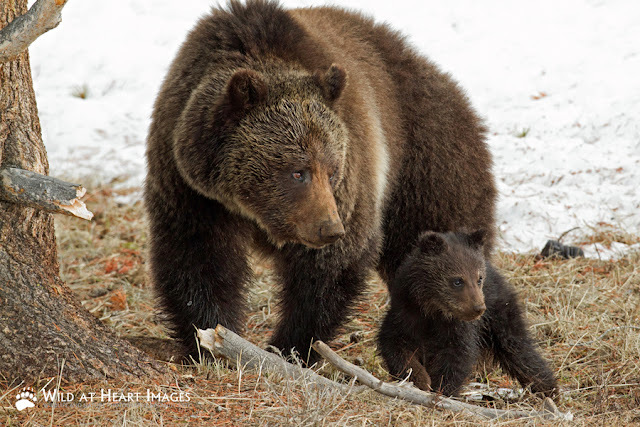 Yesterday, after six days of deliberation, Yellowstone officials decided to "euthanize" (aka KILL) Blaze, and send her two young cubs off to a zoo in the eastern United States, essentially doubling down on the tragedy of Crosby's death by not only killing Blaze, but also sentencing her two cubs to a life behind bars. 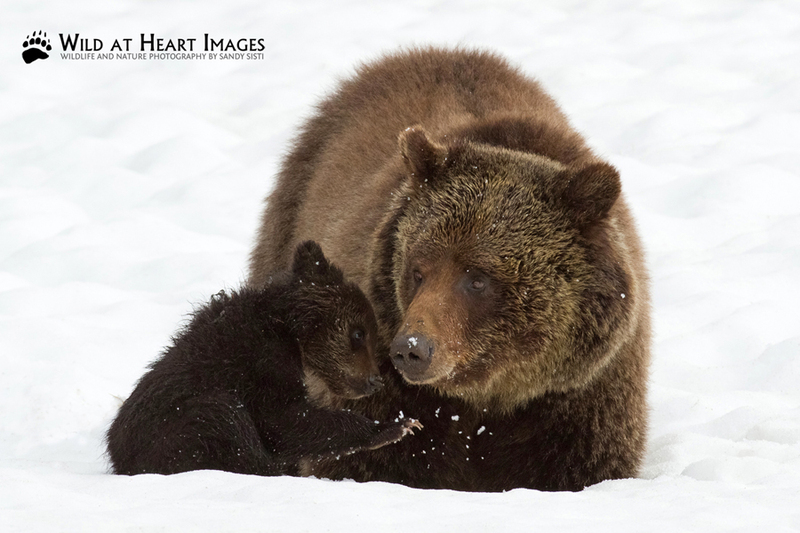 As a result, a number of prominent nature photographers in Canada and the U.S. have begun an overnight online campaign calling for the cubs to be rehabilitated in the world's only grizzly bear rehabilitation facility, the Northern Lights Wildlife Shelter in Smithers, British Columbia, Canada -- the very same rehab facility that I have been working with closely since May 2013. Following is an impassioned plea from wildlife photographer Simon Jackson (follow him on Facebook at Ghost Bear Photography), along with images provided courtesy of Sandy Sisti with Wild at Heart Images. A huge thank you to both of them for their actions in this fight. This morning, it was announced that both of the grizzly cubs involved in last Friday's fatal attack in Yellowstone will be sent to the Toledo Zoo. Not a rehabilitation facility - not even a sanctuary for orphaned cubs - but a zoo. 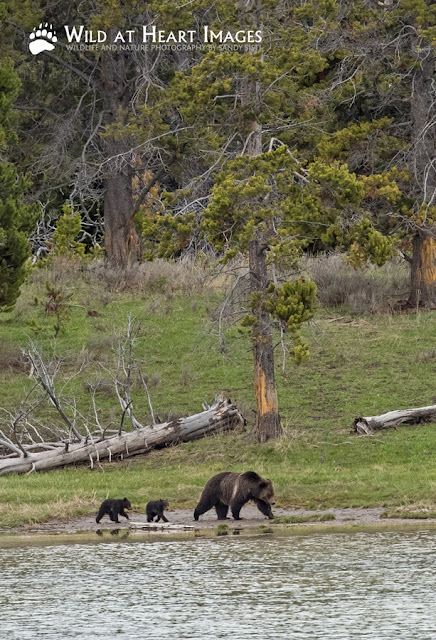 In a tragedy that is continually being compounded by decisions that make this entire mess worse, it is confounding as to why Yellowstone refused to do their due diligence and at least explore rehabilitating and re-releasing these cubs-of-the-year into the wild. Yesterday morning, Northern Lights Wildlife Shelter in BC offered to rehabilitate the cubs. Though there were hurdles to clear with moving the bears across the border, their track record of successfully releasing 18 grizzly cubs back into the wild spoke for itself. People of all walks of life offered to help and make the crossing possible, all it required was for Yellowstone to reach out to Angelika from Northern Lights. Angelika waited all day for a phone call that never came. Then Yellowstone announced the cubs would never return to the wild, but be placed in a zoo for life. According to media reports, the cubs won't be on "display" for at least another month, but in the meantime will be gradually introduced to humans and feeding times. This means the window to reverse the decision is closing rapidly as soon these bears might be too habituated to rehabilitate. It's unclear how involved the Toledo Zoo was in discussions with Yellowstone on the fate of these cubs, but it is critical they realize that they didn't save these cubs from death. Their only act - even if their hearts are in the right place (and I'm sure they are) - has been to deprive these animals of the right to full lives as wild bears. Not to mention, they are depriving a genetically isolated population of grizzly bears two reproducing females, critical to advancing the overall health of the ecosystem. It must be said, that if the Toledo Zoo does not rescind their offer to take these cubs and encourage Yellowstone and the National Park Service to embrace the proven track record of rehabilitation, they are complicit in this disastrous series of poor decisions. Their reputation - which is already very poor after a sloth bear they had on loan died of dehydration while under Toledo's care - will be forever tarnished by preventing these grizzly cubs from living in the wild. We urge you to contact the Toledo Zoo (Email: toledozooinfo@toledozoo.org and Phone: 1-419-385-5721) and ask they change their minds. We ask that you contact Yellowstone and the Secretary of the Interior (as well as your representatives) and urge them to re-think this well intended, yet awful decision. And, of course, this issue is really just starting. The elephants in the room are the questions that linger. Why won't Yellowstone embrace the proven concept of rehabilitation, given their mandate to protect and enhance the grizzly population? Why aren't new protocols for handling bear cubs involved in attacks being put in place? Why haven't new rules been drawn up to make bear spray mandatory, potentially saving the lives of people and bears? Why was Elephant Back trail re-opened immediately, even with new grizzly sightings being reported? Has no one learned anything from this tragedy? Ultimately, we're not the best suited to lead this fight and are working to find the right voices who have the expertise to lead the campaign. But we will continue to do everything within our power to ask the questions, get the answers, and advocate for positive change to ensure this grizzly sow did not die in vain. Do: Call US Senator Danes office in Bozeman 1-406-587-3446 and ask him to help get these cubs relocated into a rehabilitation center. Do: Contact the Toledo Zoo (Email: toledozooinfo@toledozoo.org and Phone: 1-419-385-5721) and ask CEO and Executive Director Jeff Sailer and the Board of Directors to change their minds.